East London's Nao is an artist you've undoubtedly heard infiltrating FM airwaves and populating curated playlists, but might not recognise in a line up of the usual suspects. Having never appeared in her own videos, and only recently blessing us with more than just her hands on her cover art, Nao's aesthetic might seem heavily calculated at first. In reality, the shroud of mystery surrounding her seems a result of her unfamiliarity with the spotlight more than anything else. Until a few years ago, she was playing gigs as a backing singer for a number of UK bands, as well as performing as a key member of a capella group The Boxettes. Before that, she was teaching South London school kids how to sing, and studying vocal jazz herself at the Guildhall School of Music & Drama. Having found inspiration listening widely to the US hip-hop, UK grime, and jungle bumping in her family home, it's now hard to corral her sound into a genre. 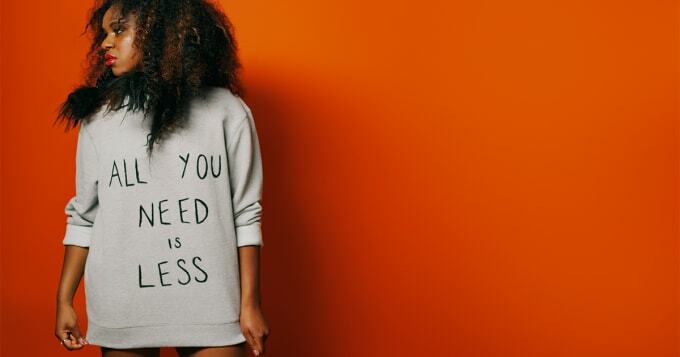 Nao herself has been inclined to describe it as "wonky funk", which really only tells half the story, and the blanket "future R&B" tag that so many artists in 2016 are being painted with would be a haphazard brushstroke here. Her first solo releases came in the form of two EPs–So Good and February 15–in the space of less than a year, and collaborations with UK bass juggernauts Disclosure and British upstart Mura Masa would come soon after. Following that, Nao was nominated for the BBC Sound of 2016 prize, being named in third place at the start of the year. Now, with those two short form projects under her belt, the singer-songwriter decided it was about time to release something longer, more fully-formed, and give more of her music–and by extension herself–to fans than ever before. With the release of her debut LP For All We Know set for July 29, Complex AU sat down with Nao to talk the highs and lows of stepping out on your own, being too hands-on and the ever-mysterious A. K. and Jai Paul.